Top Parliament Building Victoria Wedding Photographers - Best Vancouver wedding photographer Jozef Povazan Photography studio. 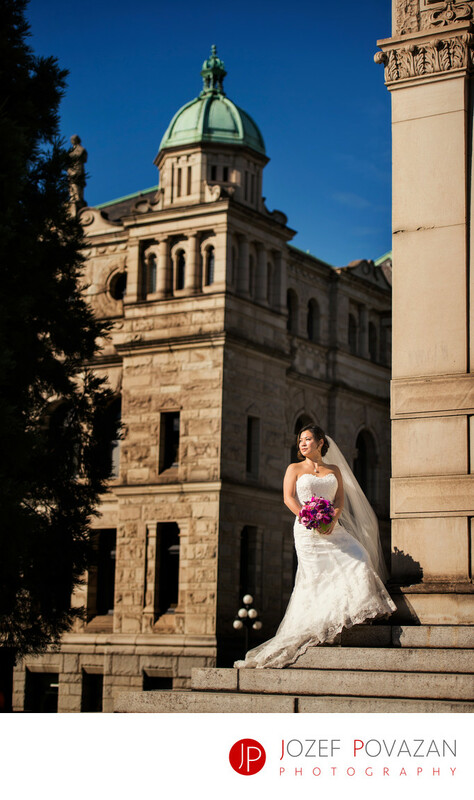 Top Parliament Building Victoria Weddings Photographers Jozef Povazan Photography studio captured amazing bride portrait on a hot sunny day at J+T wedding. Location: 501 Belleville St, Victoria, BC V8V 2L8.